Solar Energy Technology and Educational Technology are the career focuses of University of New Hampshire alum Daniel McKelvey. As VP of Sales and Business Development, he oversaw the early beginnings of EdCast. Now he’s making major moves on his own professional path. In 1988, Daniel McKelvey received a Bachelor of Science degree from the University of New Hampshire. He double majored in Computer Science and Mathematics. 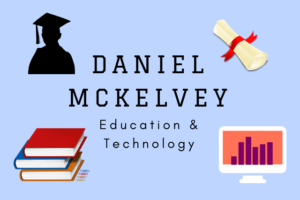 Although both of those industries have changed exponentially over time, McKelvey has dedicated himself to keeping up to date. He is a firm believer in maintaining a thirst for knowledge. His strides in the areas of educational technology and solar energy technology are evidence of his commitment to learning. In 2013, Daniel McKelvey joined the team at EdCast, an AI-powered knowledge cloud. The technology enables anyone, anywhere to access an entire library of courses, lessons and information. He even represented the company at an Open edX Conference in 2016. The Open edX Conference is an event centered around innovative advancements in educational technology for the modern, digital age. Until 2017, Daniel McKelvey stood as the Vice President of Sales and Business Development at EdCast. In 2018, McKelvey accepted the role of Vice President of Business Development, Client Success and Partnerships at University Consultants of America, Inc. Through this role, he offers admissions consulting services to prospective college and university students and their families. If there’s one thing Daniel McKelvy has mastered, it’s keeping up with the ever evolving changes of the industries he thrives in. Both fascinated and focused, he is a firm believer in solar energy technology. He works diligently to aid in the advancement of his particular industry. Since 2017, he is a proud member of Solar Energy Industries Association. SEIA is dedicated to promoting pro-solar policies and technologies. It is recognized nationally as the official trade association for the U.S. solar energy industry. Through his commitment to SEIA and his own desire to evolve his knowledge base, Daniel McKelvey stays up-to-date on all things solar energy. His background in the world of science makes him a perfect fit for this innovative industry.